The Okavango Delta is one of the most breathtaking landscapes in Botswana. The inland delta is the largest in the world and is an aquatic maze of waterways, flowing channels, serene lagoons and hidden lakes. One of the best ways to witness the sheer beauty of the delta is from above; this is usually done when travelling by charter plane. Visitors to the delta can marvel at the unique wilderness from the air while en route to lodges. 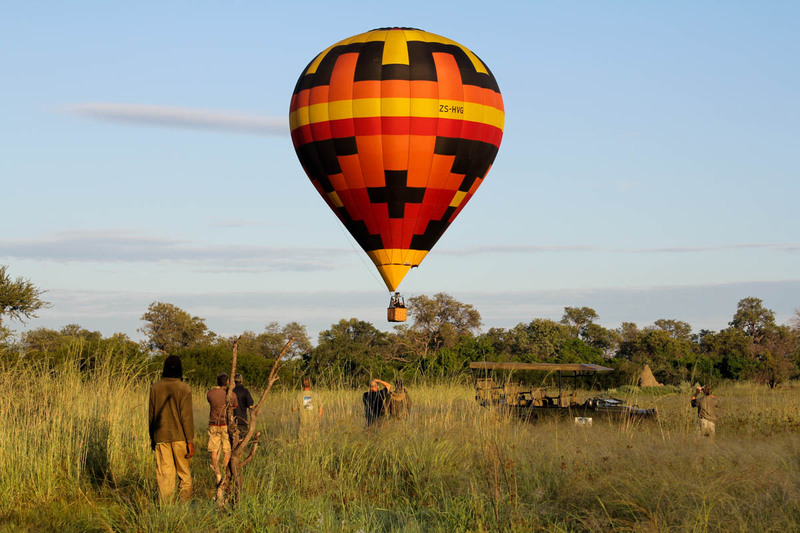 An African Anthology is gives travelers to the Okavango Delta another exciting way to experience the Okavango Delta from above – hot air balloon rides. Hot air balloon rides offer a unique, birds-eye perspective of the expansive plains of Africa. An African Anthology has partnered with Air Ventures to offer guests a picturesque trip over the Okavango Delta from their Kadizora Camp. 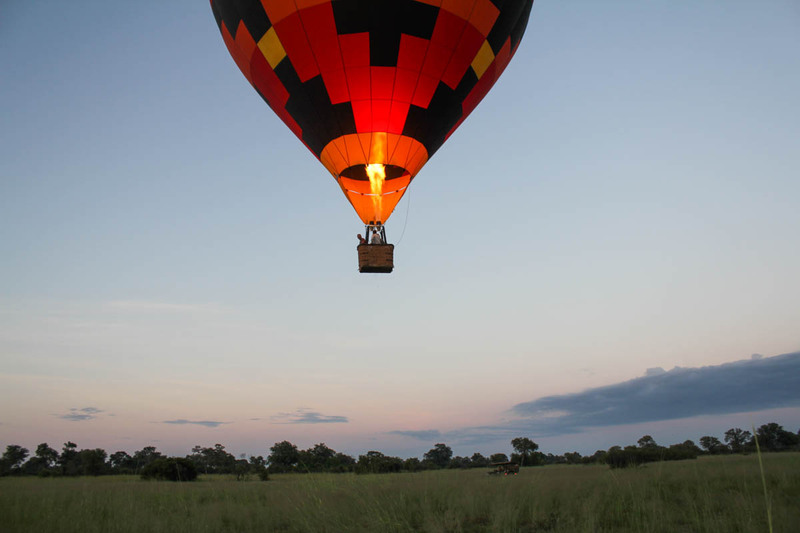 The trip from Kadizora is the only hot air ballooning activity offered in the Okavango Delta, adding to the unique appeal. The balloon takes between two and four guests per trip and there is an early wake up call. The camp transfers guests to the launch site where guests can warm up with a hot cup of tea or coffee while the balloon inflates. After 45 minutes in the air spent witnessing the panoramic sights of the surrounding landscapes, guests are treated to celebratory champagne, tea or coffee after landing. 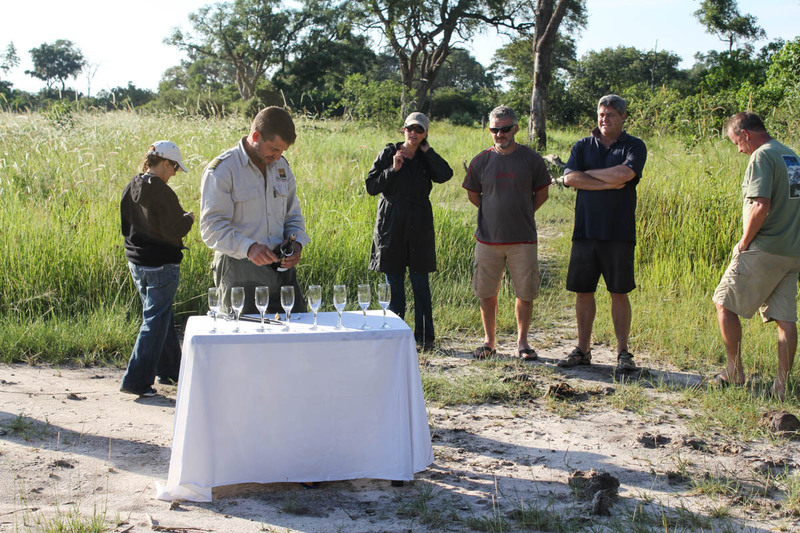 Guests will also take home a personalized certificate confirming their scenic flight over the Okavango. Delta.